Carolina Beach is located on the southern tip of North Carolina, on picturesque Pleasure Island. This family-friendly beach is perfect for surfing, fishing and collecting seashells. 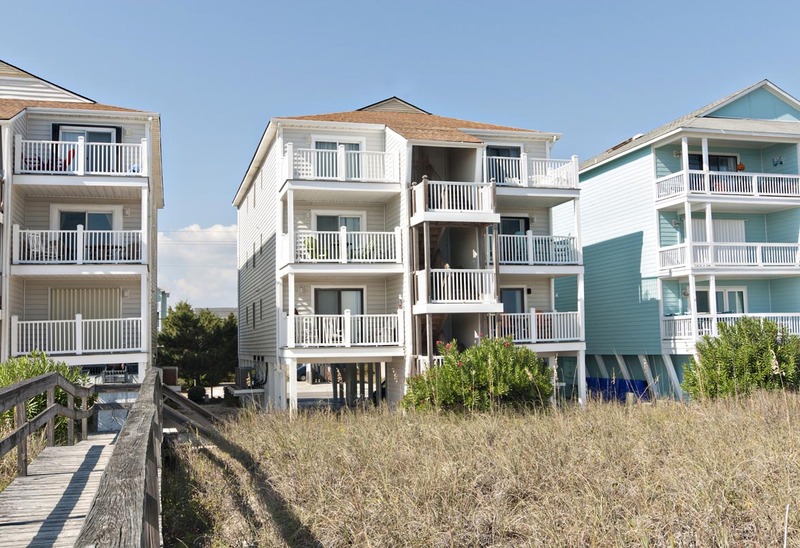 William & Mary is a 2-bedroom, 2-bath, oceanfront condo complex in Carolina Beach, perfect for a family of 7. 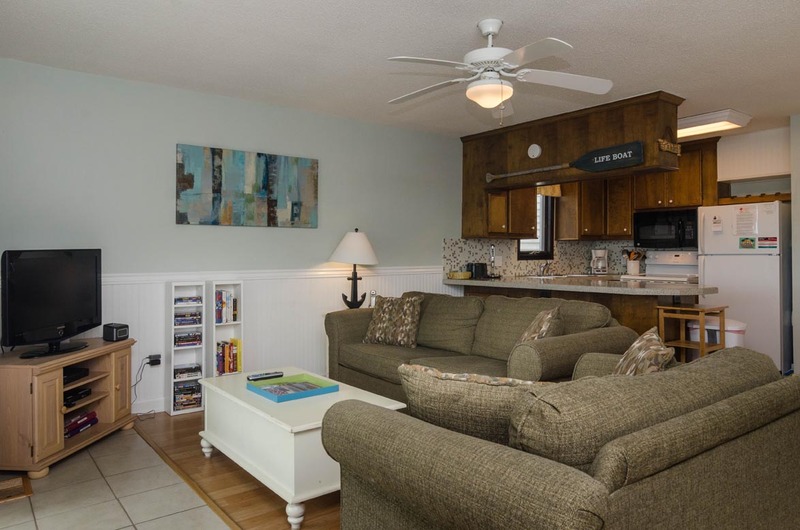 The living room and kitchen are oceanfront, while both bedrooms are street side. 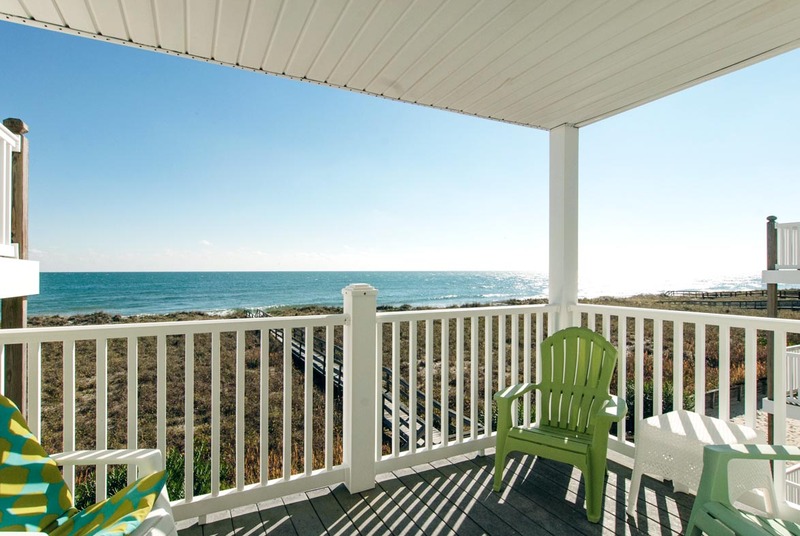 Sit outside and get a dose of fresh air on the oceanfront deck, great for outdoor dining and sunbathing. A private walkover to the beach and an outside shower are located at the rear of the building. There is assigned parking underneath the building for one car and an extra parking space is located across the street. This is a second floor, non-smoking unit. No pets allowed. Sat to Sat. 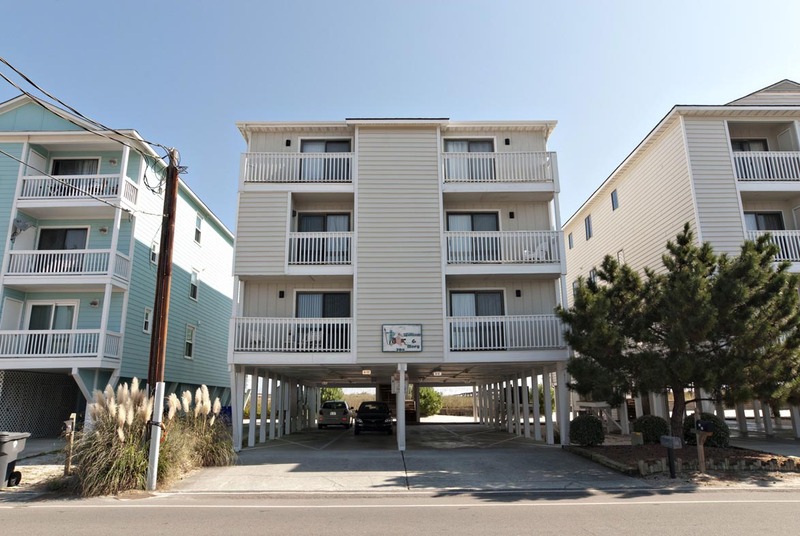 Complex is located just seven blocks north of the Boardwalk area in downtown Carolina Beach. You are walking distance to shops, restaurants and the summer activities such as fireworks, carnival rides and live music. Watch the fishermen come in with the catch of the day at the marina or dine out with the family. 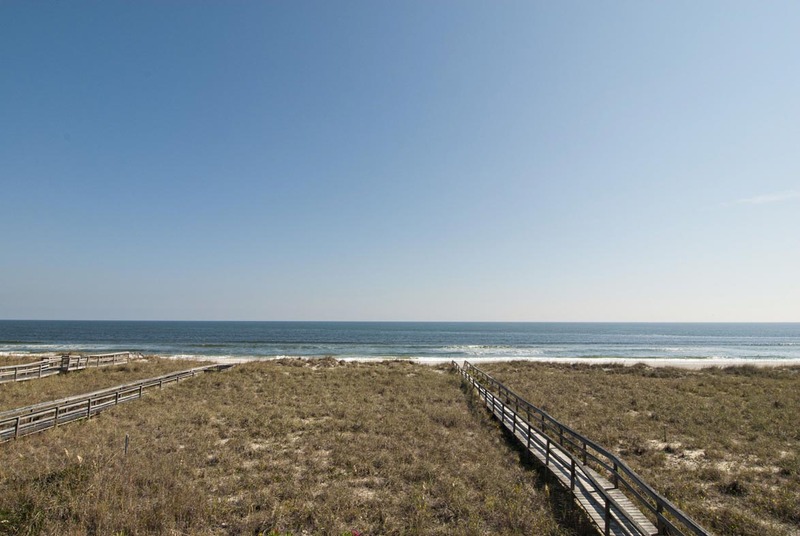 Make plans to visit Carolina Beach today! Searching for condos and booking with Bryant real estate was so simple! 2nd time working with them. Overall nice condo, had sustained some storm damage (not surprised). Nice updates and furnishings. 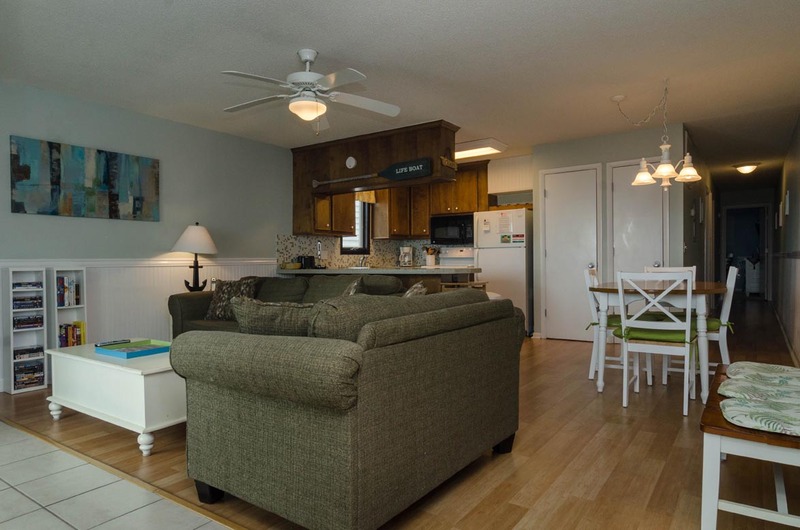 This condo is perfectly situated on Carolina Beach, just a short walk from the boardwalk. 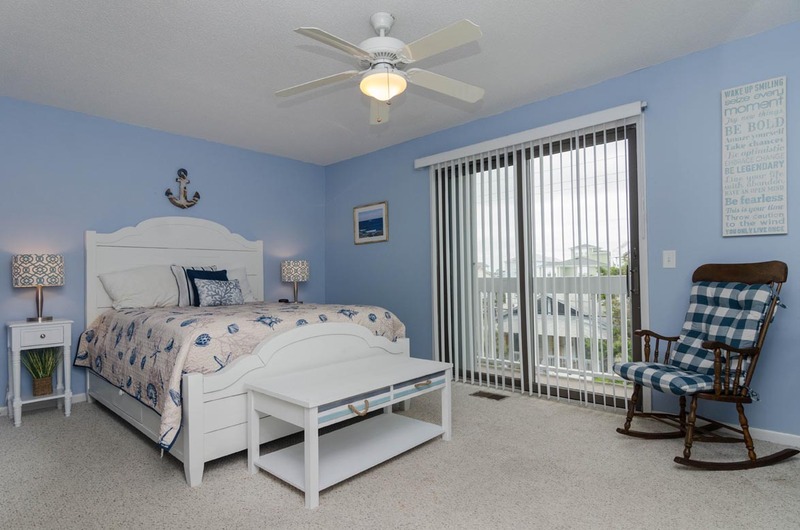 It is on the second floor above the carport, and overlooks the beach. Perfect for a family who doesn’t enjoy spending the entire day in the sand. It feels like you are sitting right on the beach, but with the comforts of shade and a close restroom. The only issue we had was that the Wi-Fi didn’t work. However, when I called the rental office to let them know, they sent someone out within an hour to check it. He confirmed that it looked like the Wi-Fi address and code had been changed and the rental office was not notified. It didn’t appear that the owners were even notified, as the address and password they posted on the refrigerator were also invalid. The guy who was sent out to fix it said he would come back the next day, but we never heard from him again. We were there for three days. This was a minor inconvenience and overall we had a great experience at this condo. We had a great experience in “Janssen” at Carolina Beach! The condo was exceptionally clean. I loved the layout. It was perfect for our family of four- and if we had an extra child it would have been fine too. We loved sitting on the deck and watching the dolphins swim by and being so close to the water. The appliances looked like new. I loved the coded entry so we didn’t have to fumble with keys. The parking wasn’t ideal, but that’s really my only complaint. I’d rent here again! We really liked that this condo had its own private beach, but it was a bit stressful trying to make sure we left everything clean and in perfect order since the realty company was so strict and explicit in the contract. 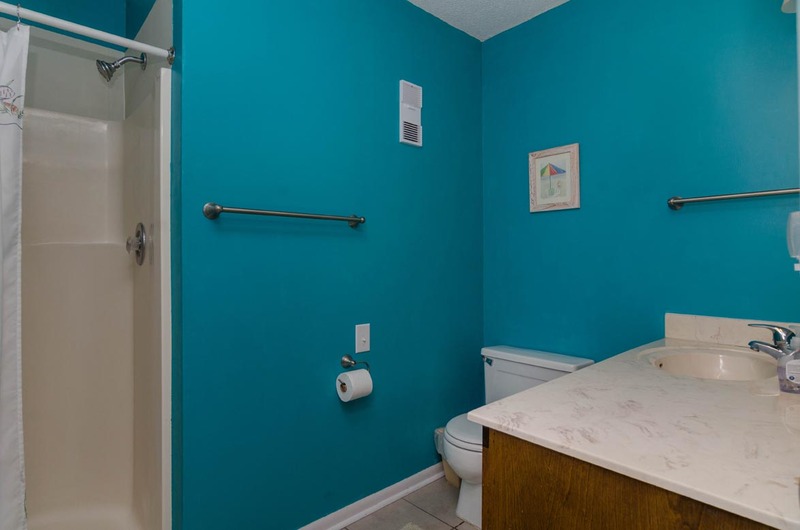 It’s marketed as a family friendly rental but in reality I Was super stressed that my kids would scratch or break or color on something and we would be charged a crazy fee for it. We also had to bring all of our own sheets and pillowcases and bath towels. This was an extra stress and we did not feel like it was fair to charge us to rent these items. Hi Matthew! Thank you for your feedback. I'm sorry to hear you had such a stressful stay! While our contract is detailed, we would never want our guests to feel as if they have to over-worry about simple wear and tear. As a matter of fact, the administrative fee that we charge acts in part as an accidental damage policy for the unit. Specifically, it helps cover the unit for up to $1500 in accidental damage. This means that if a child gets crayon on a wall or breaks a lamp, we will not have to charge any exorbitant fee. We don't ask that our guests do much in the way of cleaning, either. We only ask that you remove all your items that you brought in, wash and put away whatever dishes you have used, and take out your trash. It's really a rather relaxed approach that most guests appreciate, so I hate to hear that you were so frustrated by it. As far as linens go, we do provide them on stays of five nights or longer. For shorter stays, we offer the opportunity to rent them at a very reasonable rate. Otherwise, you can of course bring your own. Offering this opportunity helps keep the rent rates low for shorter weekend stays, like yours. I'm sorry again that you felt so stressed. I hope I was able to clarify some things so that next time you can focus on making memories with your family instead of cleaning. Thanks again, and we hope to see you back at the beach again soon! 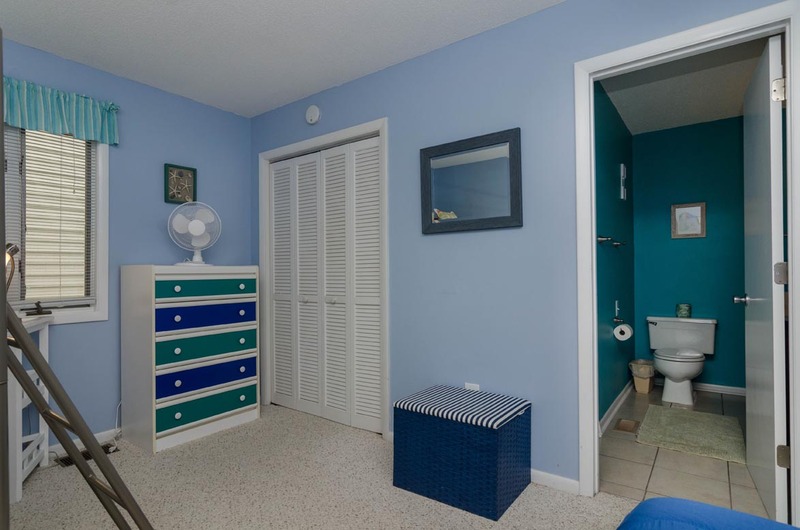 The rental unit was well equipped, very clean, and has modern furnishings. 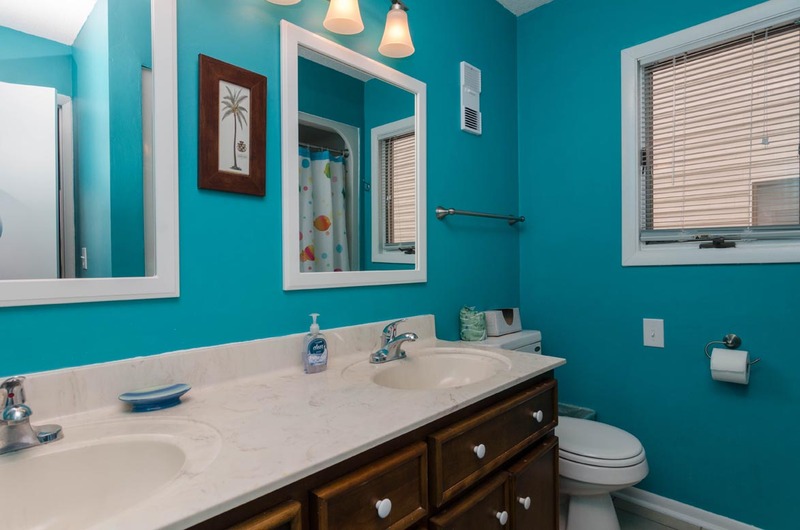 While it is not a new they did a great job with paint and decor. There was a slight smell of smoke. The view is beautiful. It is beach front and just a 60 second walk down to the ocean cannot be beat! 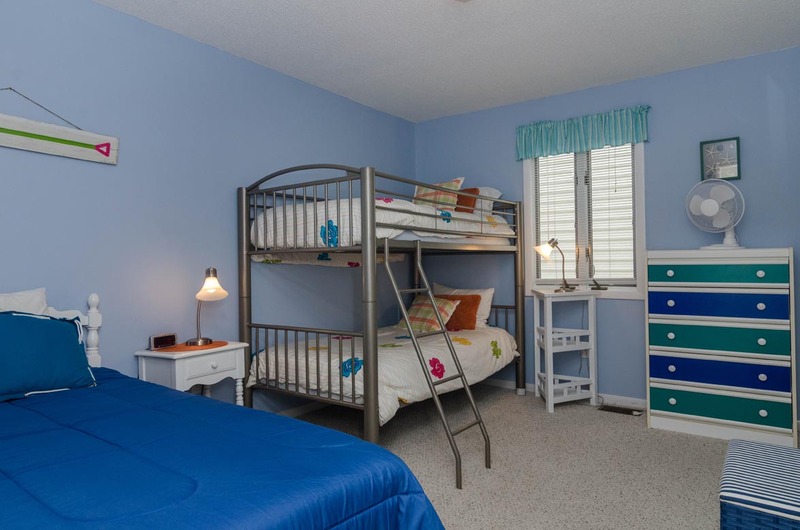 Very nice location, beds were not very comfortable, twin bunk beds not easily accessible for bigger kids. Very nice view, vertical blind kept falling down every time sliding door was opened in living room. Finally we just left it down until we departed. Upon leaving, we hung it upside down so that it would stay up. Overall really good. just a few small things. I think the kitchen appliances need upgraded to accommodate people who like to cook full meals at the beach. the blender did not work so well either. there was a storm Sunday night and it didn't seem that bad but it was a little scary when the condo actually starting moving back and forth. the ceiling fan was swaying back and forth and essentially everything in the condo moved for 5 minutes or so. I am not sure if that is normal. We are glad you enjoyed your stay! Many of us enjoy the storms when they roll through the beach, these beach houses offer amazing views and experience the storm very differently than most homes. All buildings move and are designed to move with storms. The sensation of the movement, and the amount of movement is greater the larger the building, or the more "aloft" the building. The condo you stayed at is elevated on pilings. In these buildings, you will feel more movement in larger storms, than a standard ranch style home. Did you know the Sears Tower was designed to sway up to 3 feet?!? That being said, what you experienced is normal and we appreciate your feedback. We are also sending out a maintenance tech to repair or replace the blender you noted. Looking forward to serving you again in the future! 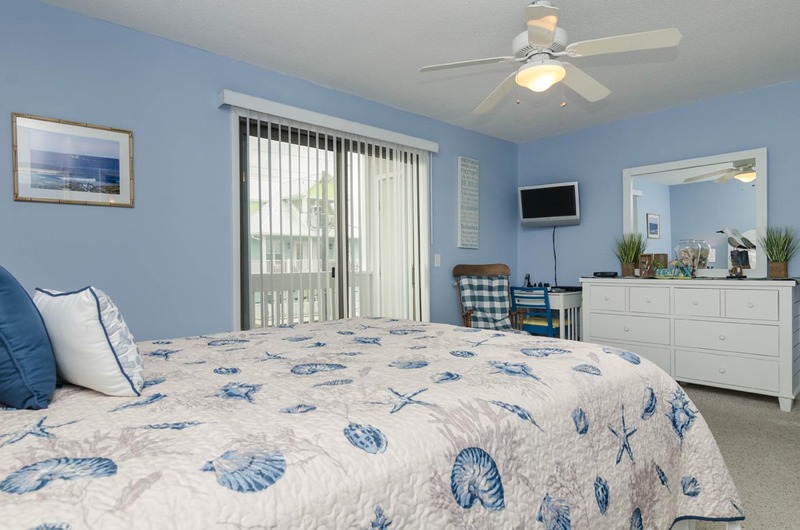 Janssen is in a great location with quick and easy access to a gorgeous beach. We liked that it was close enough to the boardwalk to walk there, but far enough away from the noise, crowds and traffic. The unit itself I'd rate as 'good' as it needs some updates, but everything worked fine and we had almost everything we needed. It was very clean - which is a huge plus. I would add a dustpan so that renters can help clean up the sand without pulling out the vacuum each day (sand is inevitable!) The check-in process was a dream! down from A21 could use better lighting at night. We LOVED this condo!! Loved the updated features and beach was beautiful and made for a wonderful vacation for our family! We would love to come back again and stay. Stacy- Glad to hear your week at the beach was great! Hope to see you again soon! It was the perfect, peaceful place to stay! Everything was clean and convenient to several shopping and dining areas. We will definitely recommend! Thank you!